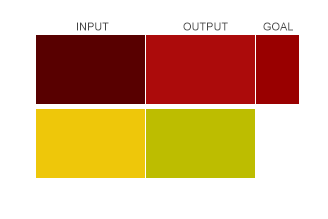 Ideally one would put in the color one wants (say 153,0,0) and get the same output but that's not what's happening. I'm working with a third part application that changes the opacity (I think) of the rollover color. There is no documentation that or tech support that can help. The current solution to the problem is to hunt and peck to find the right input color to produce the correct output color. It's time consuming and very ineffective. The question is - how can I speed up this process? Right now I only have 5 colors. But you know how things are - tomorrow there will be another 10 and the day after another 20. Does anyone have any ideas on how to methodically narrow down the color search? Browse other questions tagged color color-conversion color-reproduction or ask your own question.